The leak came, as many do, from a financial report. The game is listed on Sega’s first quarter financial report listing the game for release in North America and Europe in 2018 on PC. Sega confirmed that Yakuza 0 and Yakuza Kiwami (the remake of the original Yakuza) would be coming to PC via Steam at the PC Gaming Show at E3 back in June. 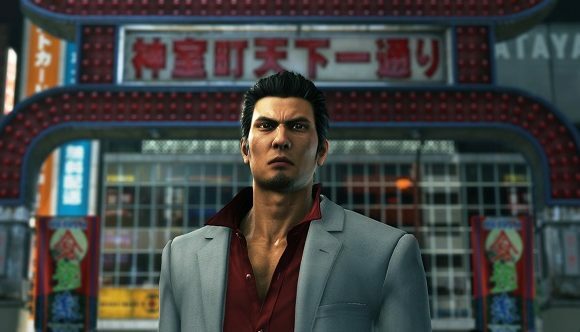 Yakuza 0 launched on the service yesterday, and judging by fan enthusiasm, it’s no surprise that Sega is looking to bring more titles from this cult series to PC users, who are often forgotten by typically Japanese games. The superb JRPG Valkyria Chronicles 4 was also confirmed for a PC release at the show. Sega are already hard at work prepping Yakuza Kiwami 2 for PS4 release, and given its recent commitment to bringing its strong catalogue of older titles to PC, it’s likely that this and following Yakuza remakes will make their way to us as well. For a different take on the Japanese open-world game, remastered versions of Shenmue I and II will launch of PC later this month, which are also published by Sega. With this new renaissance of Sega games on PC, the series that is at the forefront of most fans minds is Persona. There has been some talk of a potential Persona 6 on PC, but nothing has been confirmed as of yet. Looks like we’ll have to keep praying to the Otaku gods (or whoever handles financial reports for SEGA) for a little while longer for that one. In the meantime, we’re off to punch some criminals on the streets of Tokyo.